Art representing the Northwest Coast Thunderbird, created by Madison Johns, an Indigenous student in Sheridan’s Faculty of Animation. 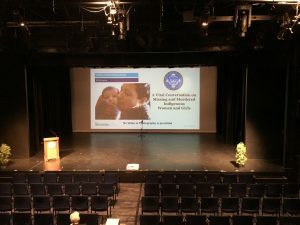 Sheridan’s Centre for Indigenous Learning and Spport, along with Oakville Community Foundation, hosted an event last week which addressed murdered and missing indigenous women and girls. The event was based on different stories and displaying as much information as they could through different speakers to show all sides of the crisis. Since March 31, 2010 NWAC (Native Women’s Association of Canada), 582 indigenous women and girls are missing or murdered. 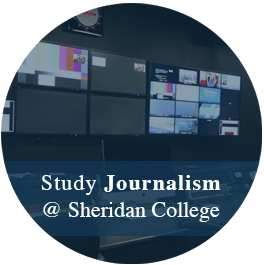 Sheridan’s Centre for Indigenous Learning and Support is trying to bring awareness to this issue. Lorraine Green who has worked with Sheridan’s Indigenous programs was asking for signatures for a petition, asking the Government of Canada to actually force police to have a record for missing indigenous women and girls. This petition is important for indigenous communities that now have a deep mistrust in law enforcement. In June a submission to the Government of Canada from the Human Rights Watch reported that in Saskatchewan their have been multiple accounts of police neglect, physical assault, and sexual harassment since they began their investigation last year. 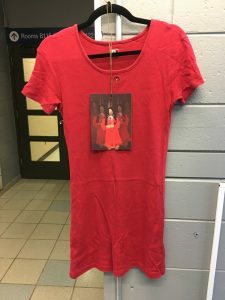 The red dress is symbolism for the missing and murdered indigenous women and is to help bring awareness that neither the General Social Survey or Statistics Canada Homicide Survey collects data on the disappearances. 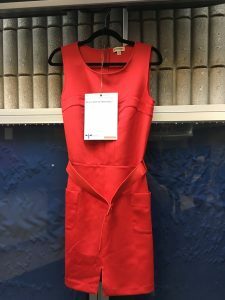 The event explained that all of Sheridan’s campuses are built on Indigenous land and that Oct. 4 is a day for Indigenous women and girls and when red dresses are hung all around Canada. They continued by providing facts to help explain why the event is so important, facts like Indigenous women are seven times more likely to be murdered than anyone else in Canada. The event also included Keith Barker, who has worked in professional theatre for 16 years, who performed a play called The Hours That Remain, a story of loss and hope that moved most of the audience.